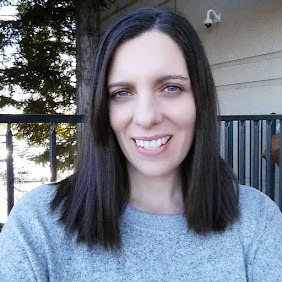 I'm so excited that fall weather has finally arrived here in the Seattle area!! After an unusually warm summer, it feels so good to pull out my cozy sweaters, start a fire in the fireplace, and do some fall baking. Fall is my favorite season, I love everything about it. I love getting out all my old cookbooks and starting to plan what apple and pumpkin desserts and treats I'll make for my friends and family. When I heard that M&M's® had come out with delicious M&M's® Pecan Pie, I knew they would be a part of my first cake of the season. 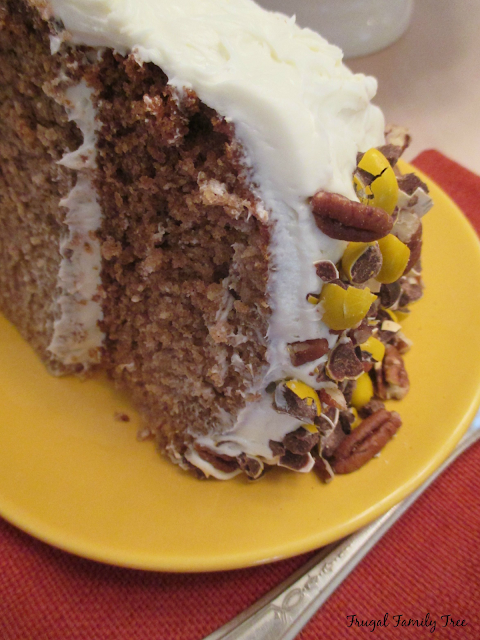 This Applesauce Pecan Cake is moist and tender on the inside, and topped with chopped M&M's® and pecans. And I wish you could have smelled my kitchen while it was baking. Heavenly! M&M's® has come out with some amazing new flavors the last few seasons, and I've tried pretty much every one. They have all been delicious, but I think the pecan is my favorite. I picked up a couple of bags while I was at Walmart, along with a few things I would need to make my cake. 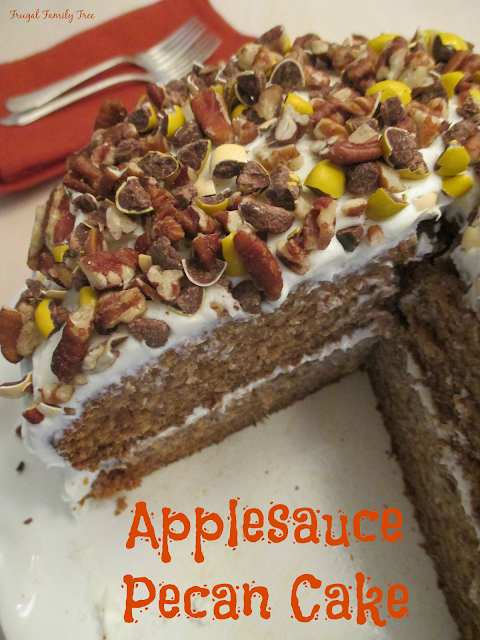 I use Mott's® Applesauce whenever I make this cake, and frost it with Pillsbury™ Creamy Supreme® Cream Cheese Icing. 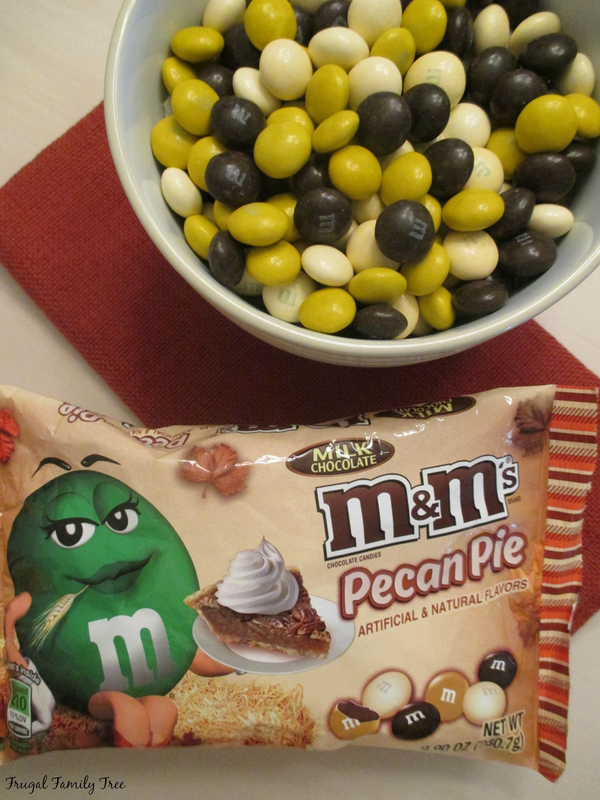 When I got the M&M's® Pecan Pie home, of course I had to try them immediately. It's a good thing I got two bags because they sure were good!! When I was shopping at Walmart, I also found these Snapple® Apple Singles. 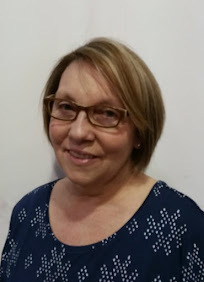 I've always been a huge Snapple® fan, and enjoy trying new flavors. I picked up several bottles to keep in the fridge, and their crisp apple taste reminds me of apples in the fall. And if you love baking fall treats and desserts like I do, enter the sweepstakes below for a chance to win an awesome KitchenAid® Mixer. Baking from scratch is something I find a lot of pleasure in, and it's really not much more effort that using a mix, especially for this cake. What I like so much about this recipe is that it not only tastes fabulous, it's very easy to make. You simply combine all the ingredients in a large mixing bowl and beat with an electric mixer. Divide the batter evenly into two 8" round cake pans and bake for 30 minutes. Chop up the pecans, and use a rolling pin to crush the M&M's® Pecan Pie into pieces. Frost the layers with the Pillsbury™ Creamy Supreme® Cream Cheese Icing. Then sprinkle the M&M's® and pecan pieces on top. Super easy, and so delicious!! Grease and flour 2 8-inch round cake pans. 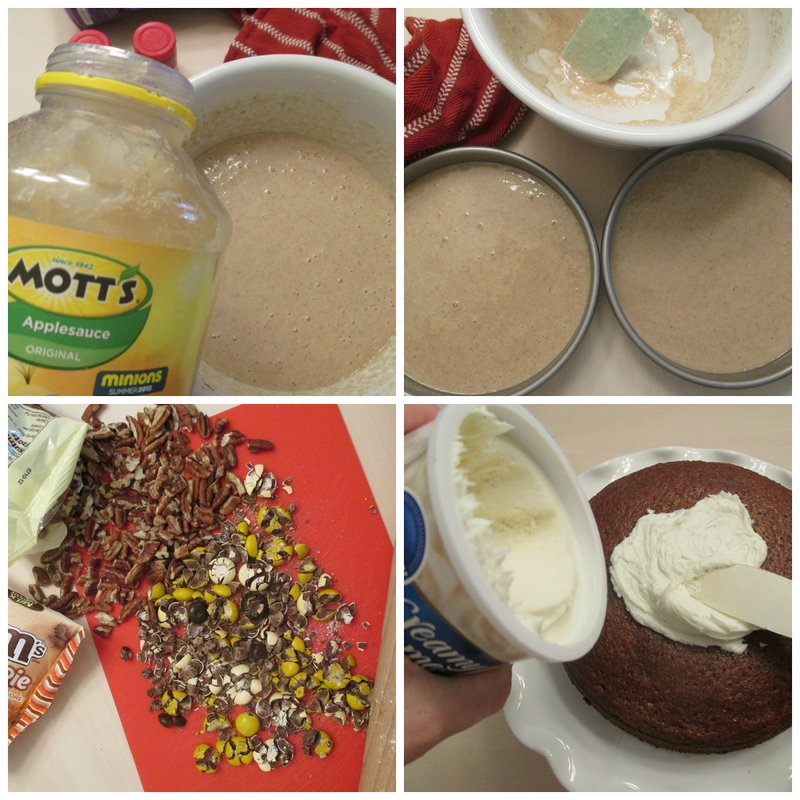 Put all ingredients into a large bowl and beat with electric mixer until well combined. Pour into prepared pans and bake for 30 minutes or until done. Let cake cool in pans for 10 minutes, then turn them out and let them cool on wire racks before assembling and frosting. 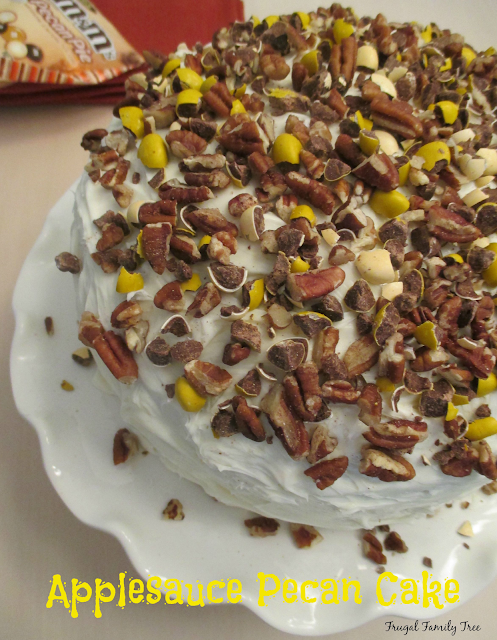 Sprinkle with M&M's® and pecan pieces. 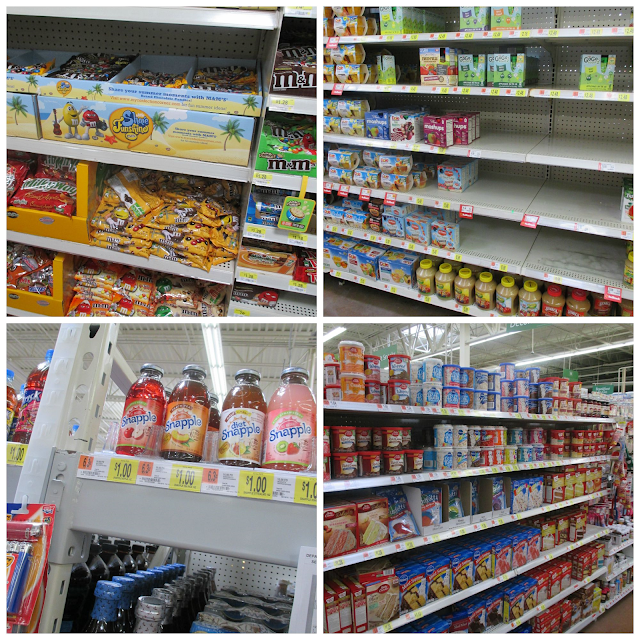 You can find all of these products in the aisles of your local Walmart. Be sure to check out more Fall-inspired recipes here. I'd love to know what your favorite Fall recipe is that you enjoy baking. Leave me a comment and let me know.